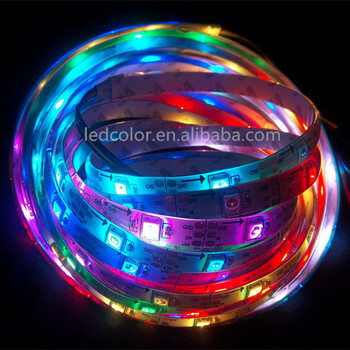 Hi, I have managed to set up an RGB single LED with Blynk and I am able to control individual RGB colours using the app, however I wish to use it for a complete 5m roll of 12V LED strip. I realise the Arduino can only supply 5V and that is why I have an external supply unit with a DC power jack. I can get the strip to work directly with the power supply but I am not sure how to wire this with... I'm using Arduino Uno with a 12V RGB Signal Amplifier and a 12V RGB LED strip. 12VDC is supplied to the amplifier. However the LED strips does not light up whether the PWN pins are set to either 0 or 255 . Connect the +5V direct to the LEDs +5V, the LED's ground to both the Arduino ground and the PSU ground, and the LED's data line(s) to the Arduino. Power the Arduino from USB. Power the Arduino � how to connect 2 batteries together The RGB LED we are using is a Common Anode, so it requires 5V to the common pin. * If we were using a Common Cathode, we would connect it to Ground(GND) instead. We are using 3 resistor to limit the current drawn for the Red, Green, Blue pins. 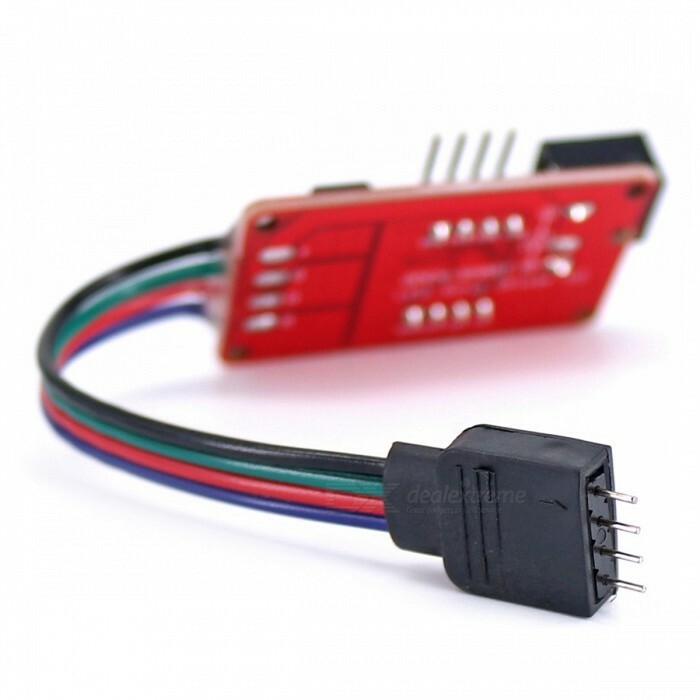 Make sure the base pin is connected to Arduino�s output pin, the collector to ground and the emitter to RGB LED strip�s color terminal respectively. This is my first time making a tutorial, if my tutorial is unclear or have problems, just discuss in our technical forum . 24/01/2016�� Often a combination of a RGB strip with a (warm) white strip is used, this can perfectly be controlled with one Arduino. The Arduino RGB_LED_Control software is available as a free download. It is included in the Arduino DCC / S88 software package which can be found on the Download page . You connect the grounds together and Vdd together, and daisy-chain Dout to Din on the next strip. However, if you are running more than about 20 LED modules, you should run multiple Vdd and Ground inputs in every 10 modules, with a 0.1uF capacitor between Vdd and Ground. The Arduino suppose to control the LED via C++/C# application. Now, Arduino supply only 5V and the LED strip need 12V(I don't really need that the LED will be on full brightness) Is there a way to use molex cable from the PSU to light the LED? Or how do I take 9V from the Arduino? Do I need to connect the Arduino to USB and power?..